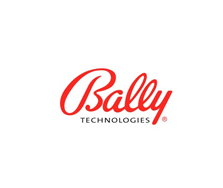 Bally Technologies was created in 1968 as Advanced Patent Technology but its founder, Raymond T. Molony formed as a pinball manufacturer during the Great Depression era in Chicago way back in 1936 – this makes Bally the world’s oldest slot machine manufacturer. Bally designs, produces, distributes and operated gaming devices for land based casinos mainly as their slots can be found all over Las Vegas. With more than 3,500 employees and offices in more than 25 offices in various countries, Bally was the first publicly traded gaming company (NYSE) and is now based in Las Vegas. Due to its overwhelming success, Scientific Games acquired them in 2014 – this is the company behind WMS Gaming and Barcrest. Bally started producing slots for the online space in 2013 and have been growing steadily since then – you can now play some of their land-based classics such as the Quick Hit games (Quick Hit Black Gold & Quick Hit Platinum). Like with Novomatic games, they do feel like land-based slots which adds to the charm and appeal of the games. I recommend you play titles such as Lady Robin Hood and Thunderhorn which have a nice balance between modern bonus features and high variance – you will find that most of Bally’s slots are quite volatile which is what I prefer. Now part of Scientific Games, I am sure more and more slot games will be released making Bally a software provider to look out for.